It's common knowledge that we need to drink water to survive — but how do we know if we're drinking enough? Figuring out how to know if you're drinking enough water is key to staying hydrated, healthy, and in tune with our bodies' needs. Drinking water is one of the easiest and best things we can do for our bodies, after all. Despite the knowledge of how good water is for us, though, according to CBS News report, up to 75 percent of Americans could not be getting enough water each day, and even suffer from chronic dehydration. This is a problem when we consider that water is necessary for all our basic functions — not to mention even mild dehydration can cause uncomfortable symptoms like headaches, constipation, and dizziness, according to the Mayo Clinic. A study from the National Institute of Medicine says that women should be drinking an average of 91 ounces of water a day and men should be drinking an average of 125 ounces. However, the study also noted that there's no hard and fast rule for how much you should be drinking, especially because variables like activity level, exposure to heat, and the kinds of foods you eat can definitely have an [affect] EFFECT on how much you need each day. If you're wondering whether or not you're getting enough water in your daily routine, take a look at the following weird indicators and you may be inspired to drink more. Here are seven weird signs that you aren't drinking enough water. Our bodies need enough water to produce adequate saliva, and according to the Mayo Clinic, waking up in the morning with a super dry mouth is a very good indicator that you're not getting enough water during the day. According to the Corrine Dobbas, M.D., R.D in an article for Shape, the urine of a well-hydrated person will be light yellow, if not almost clear in color. So if your urine is super dark and concentrated it means you may need to drink more water. Not only does saliva lubricate our mouths and throats, but according to USA Today, it also contains anti-bacterial qualities that help control bad breath. This means that if you often notice your breath is bad (and you know you don't have any gum or dental problems), a lack of water in your body could definitely be the culprit. 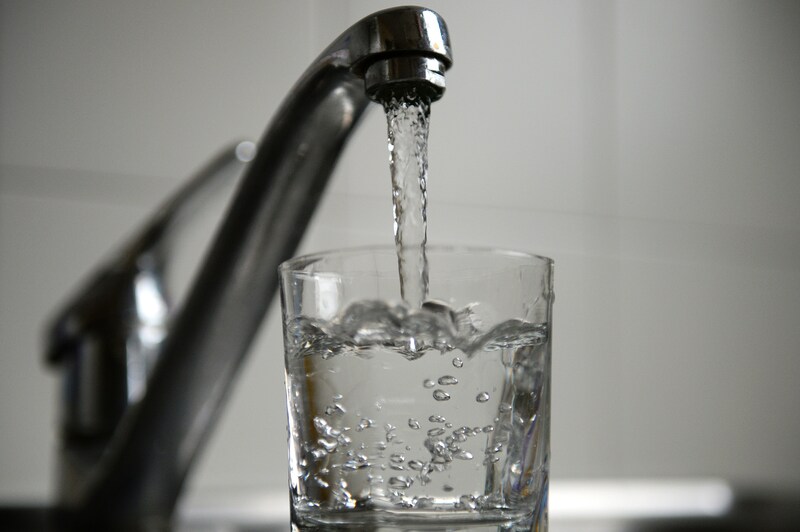 Water lubricates everything in our bodies — including our digestive tracks, and according to HopkinsMedicine.org, maintained by the Johns Hopkins School of Medicine, dehydration is a common causes of constipation. So before you run out and buy those fiber supplements or the heavy duty laxatives, you may just want to try incorporating a few more glasses of water throughout your day. Our skin is the largest organ in our body, and just like our internal organs, it requires water to function properly, according to UWHealth.org. A lack of hydration can lead to sagging skin cells, making our skin appear less plump, and our wrinkles more pronounced. According to the Mayo Clinic, one of the first and most common signs of dehydration is a feeling of low-energy and fatigue that isn't in any way related to how much sleep you've been getting. So if you're just generally feeling sluggish day-to-day and can't seem to figure out why, you may want to make a concerted effort to just drink more water. The results may surprise you! According to Patricia Nevins, RN and MSN in an article for LIVESTRONG, since we often attain water through foods like fruits, vegetables, and soups, our bodies can sometimes tell us we're hungry when what we really need is more water. So if you've noticed an increase in appetite or find yourself getting hungry soon after eating, try drinking a glass of water before running to the vending machine.